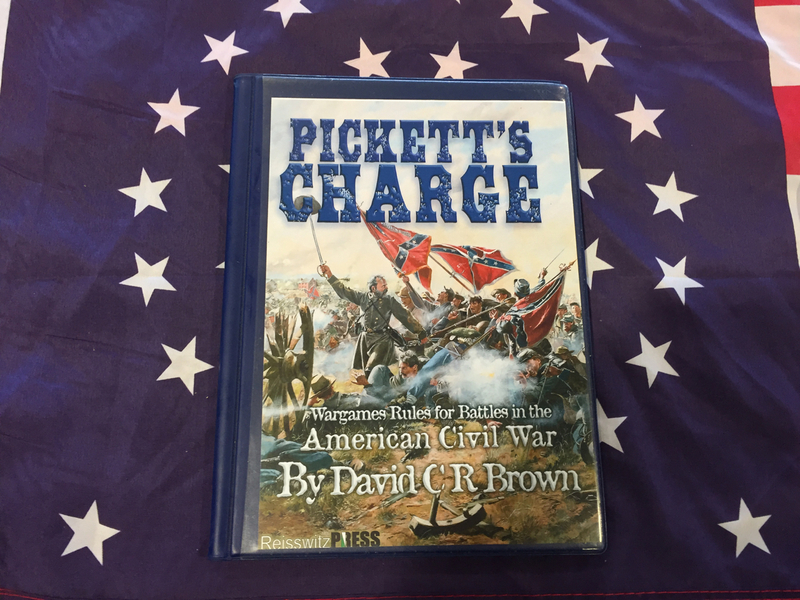 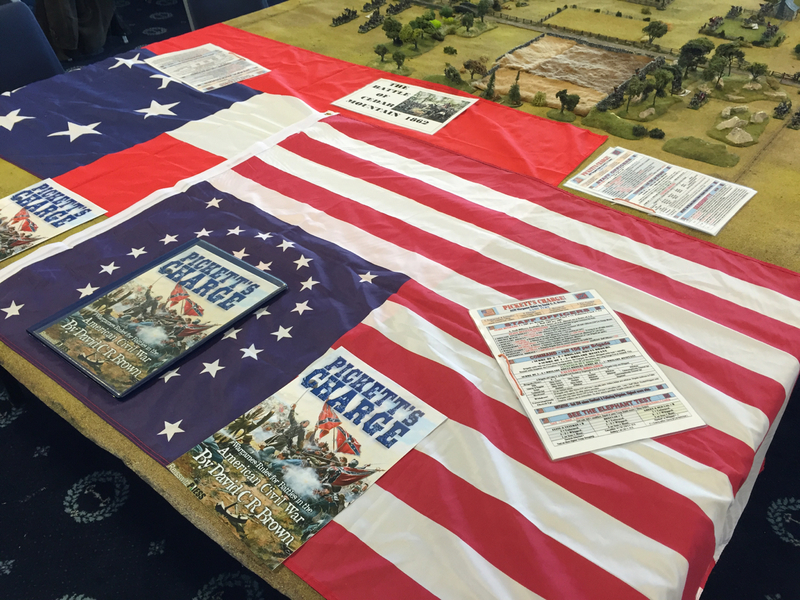 Dave’s new ACW rules “Pickett’s Charge” got another outing at the Colours show at Newbury racecourse. 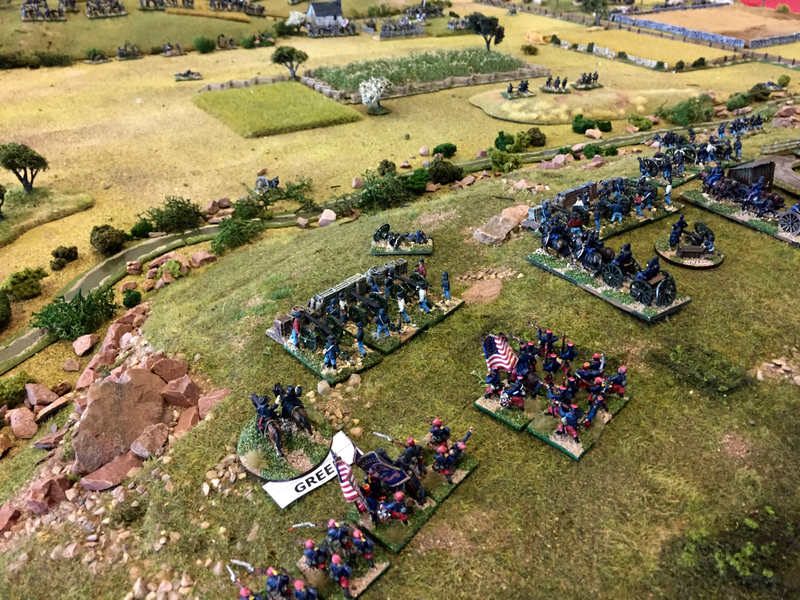 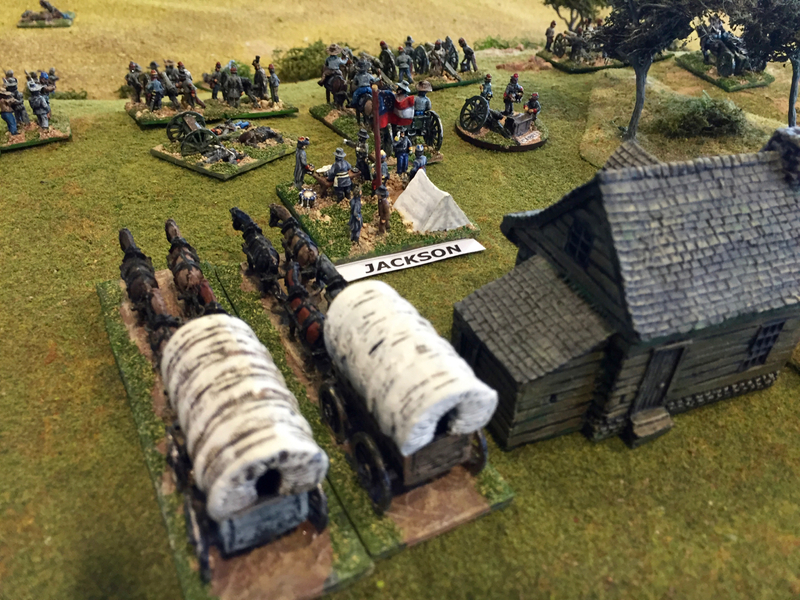 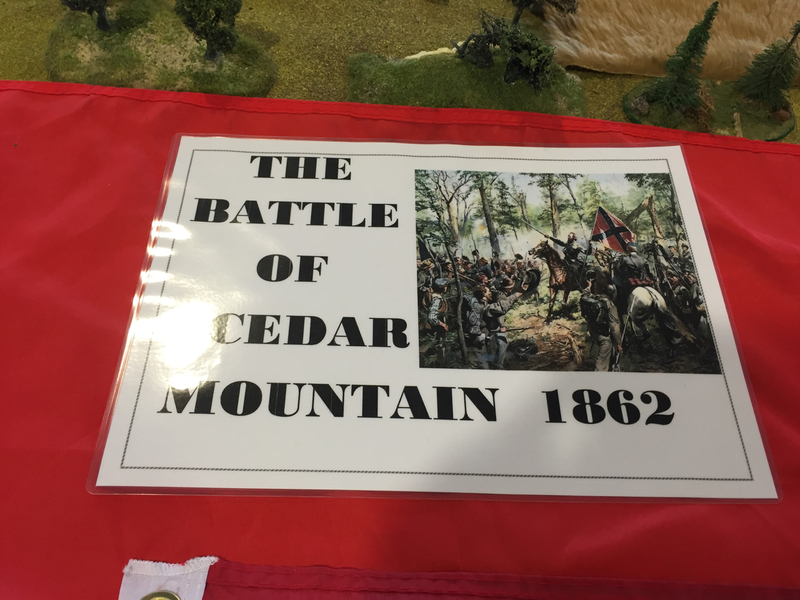 The scenario was The battle of Cedar’s Creek and it was played with 6 brigades per side. 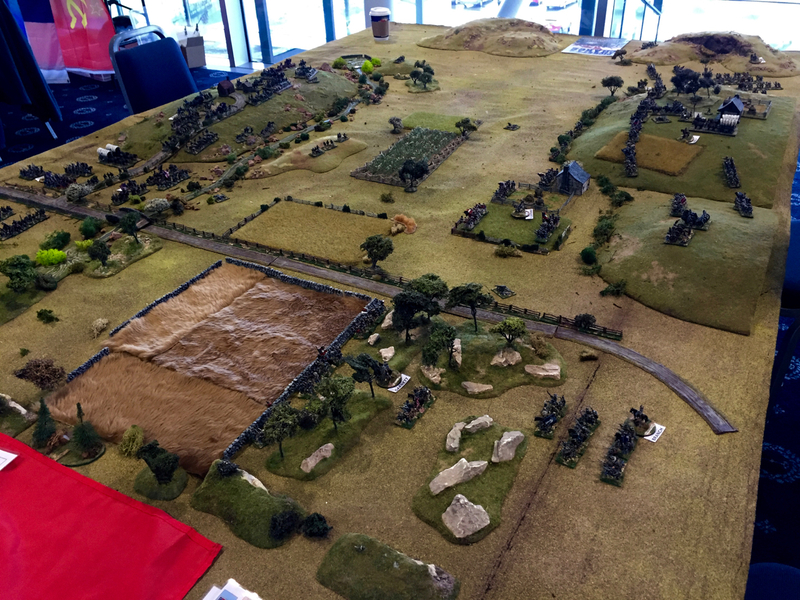 Once again the rules played well and the game was fast moving even though we spent a lot of time chatting to interested bystanders. 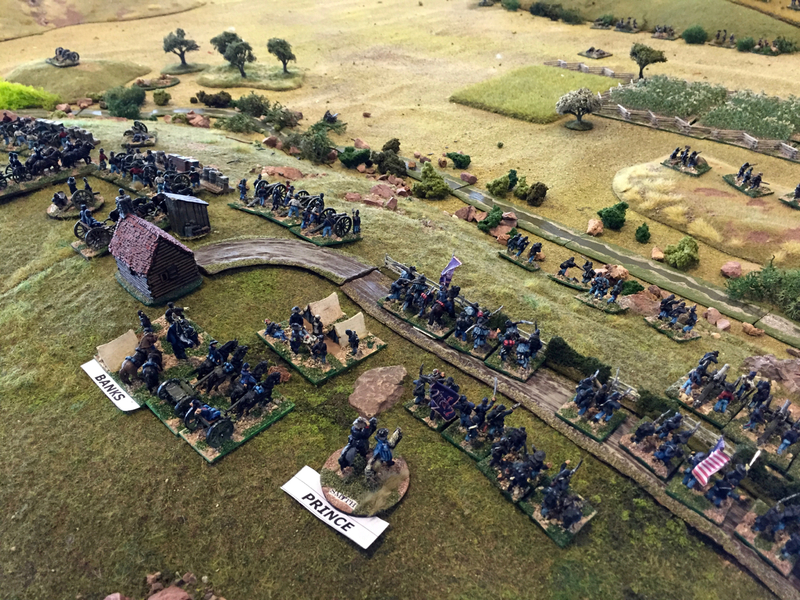 By the afternoon we had 3 visitors playing and they all seemed to pick up the rules very easily – which was exactly what we hoped. 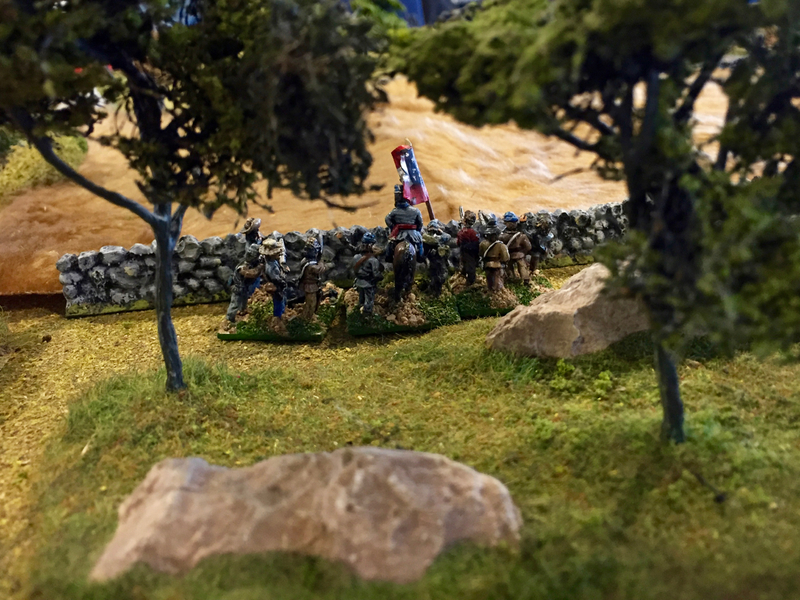 The rules should be available in 4-6 weeks.